Just a heads up. 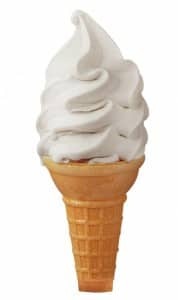 According to the Carvel blog, kids 12 and under can score a free soft serve ice cream cone at Carvel tomorrow (Sunday, July 15th). The kids would love that! Nice .Thta we got the email for free cone 2 days after it expired .what is up with that ?